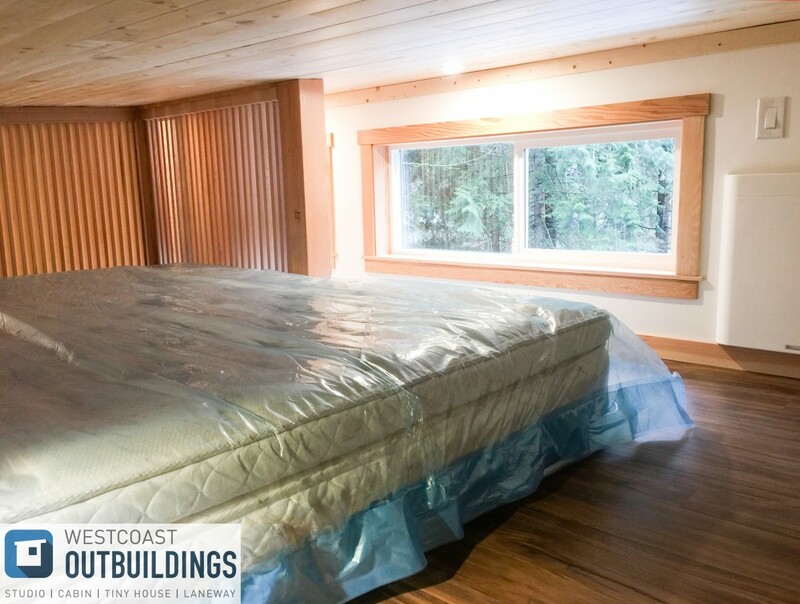 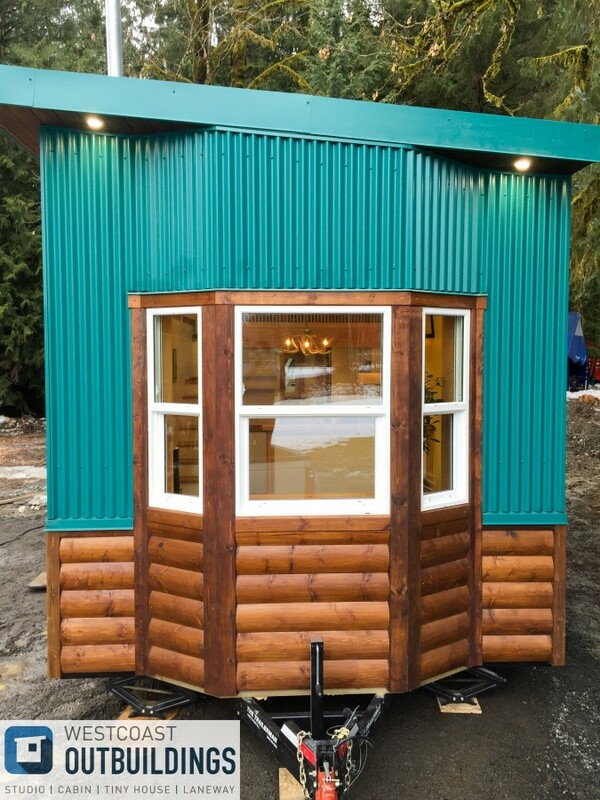 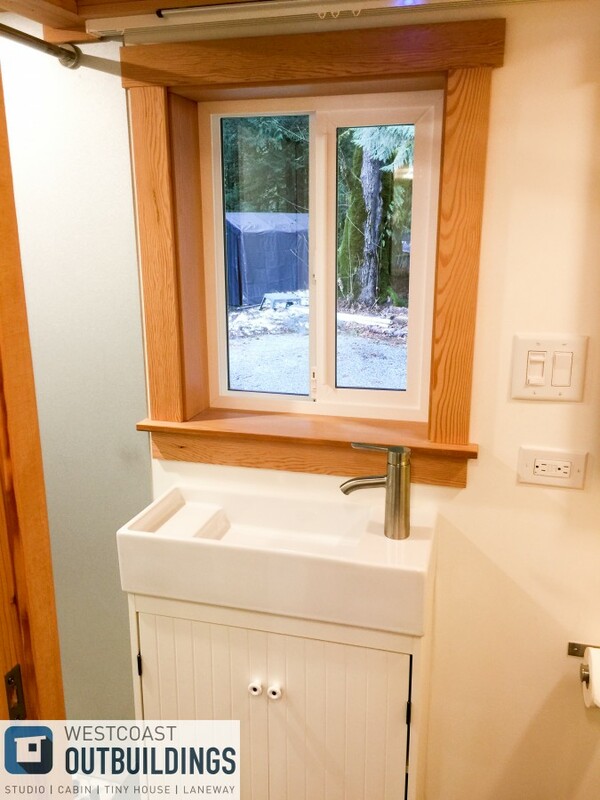 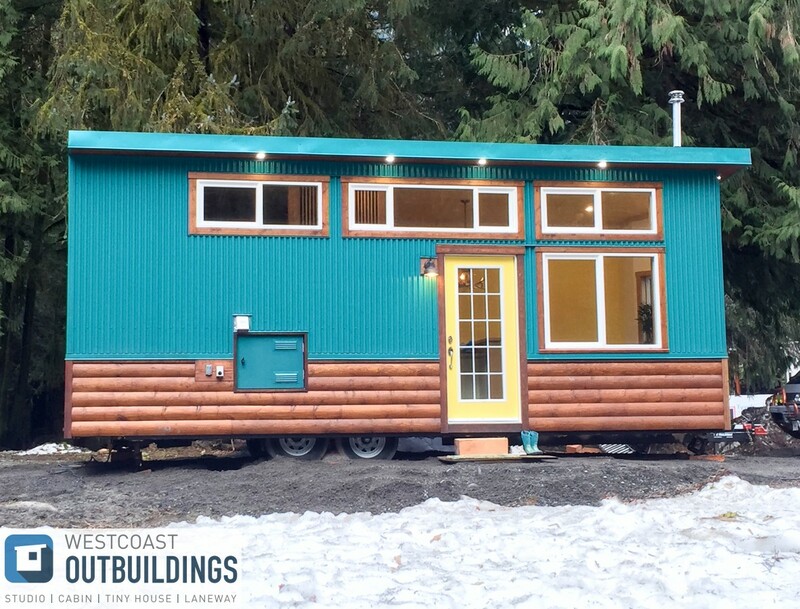 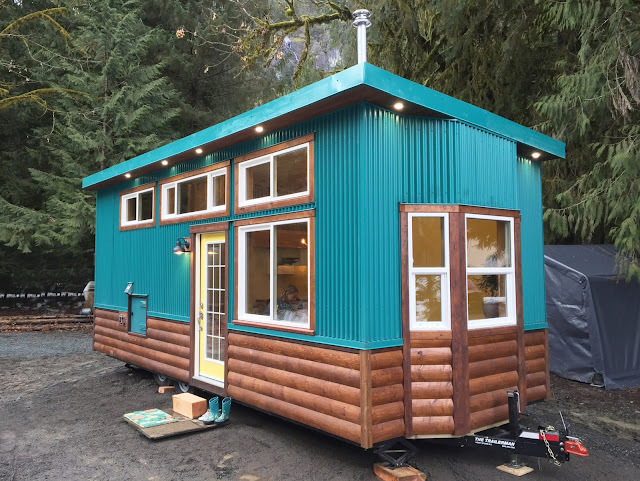 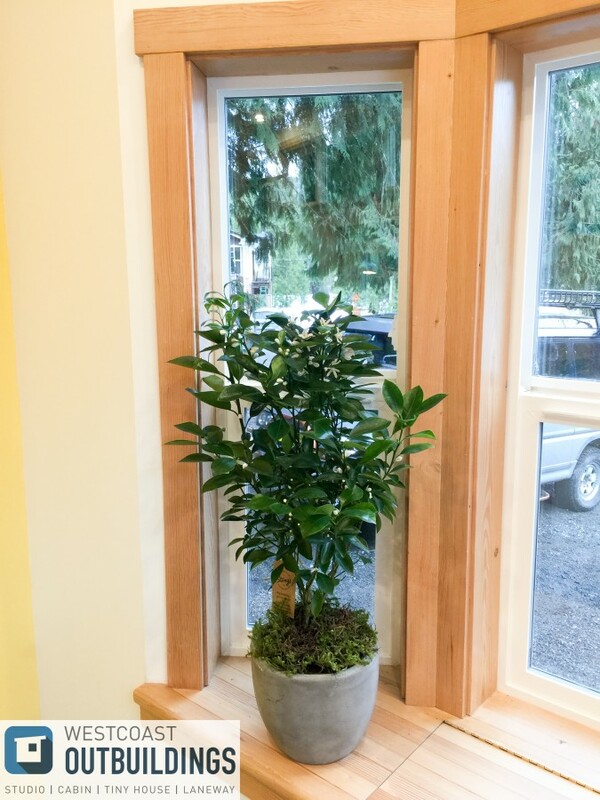 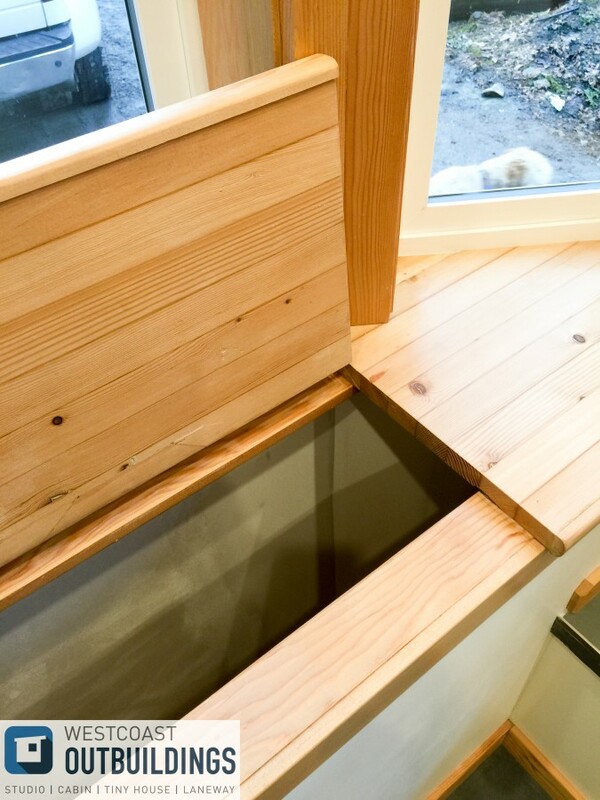 From West Coast Outbuildings is the second version of the Skookum . This one is a little bit bigger than the first edition but styled similarly. The home is built onto a custom double axle 14,000 trailer and measures 26' x 10'. 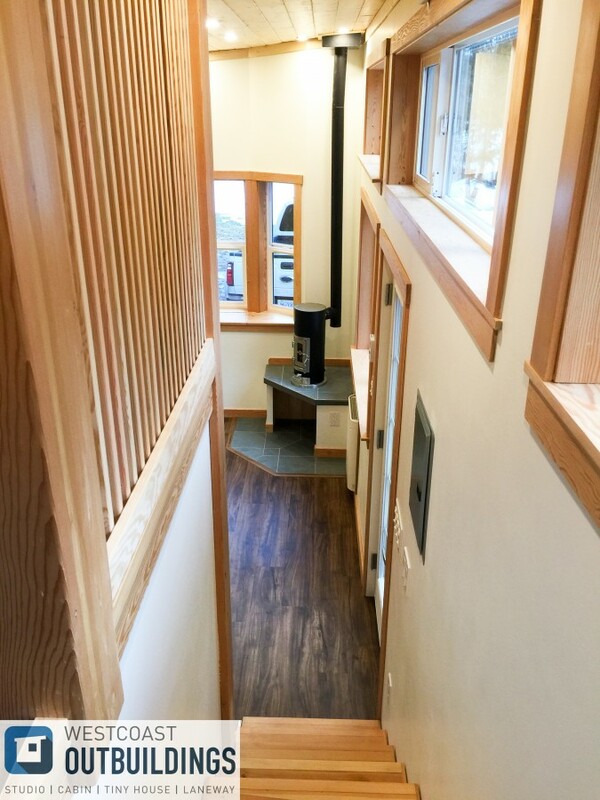 A certified park model home, the home has a 240 sq ft main floor, 145 sq ft in the loft, and 385 sq ft in total. 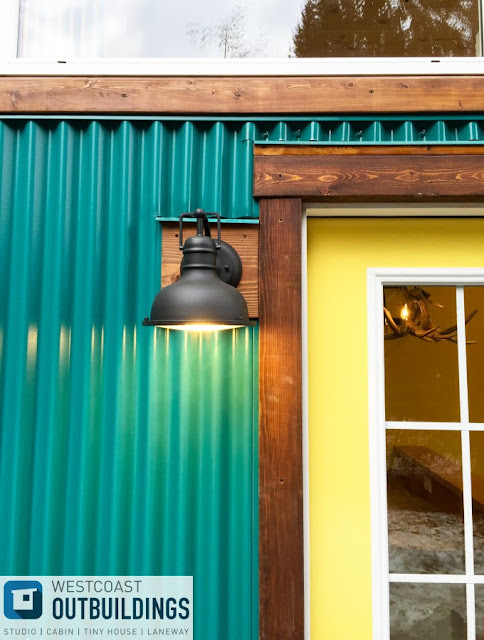 The home's unique, eye-catching exterior is composed of painted corrugated steel with 1/2 log siding and a galvalume standing seam roof. 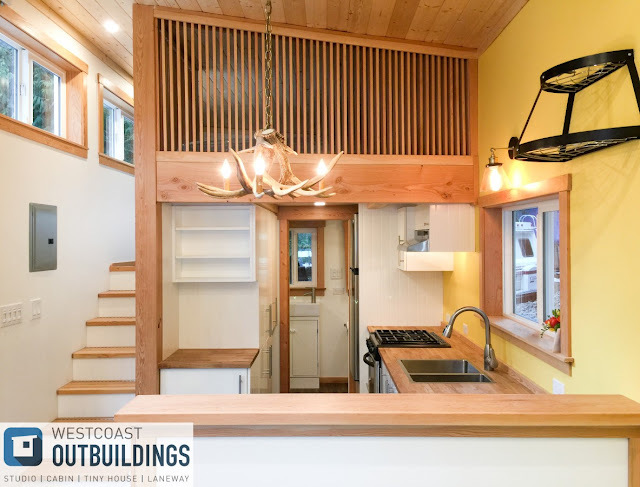 Inside the home's beautiful modern/rustic interior is a living room, kitchen, bathroom, master loft bedroom, and a mechanical room. 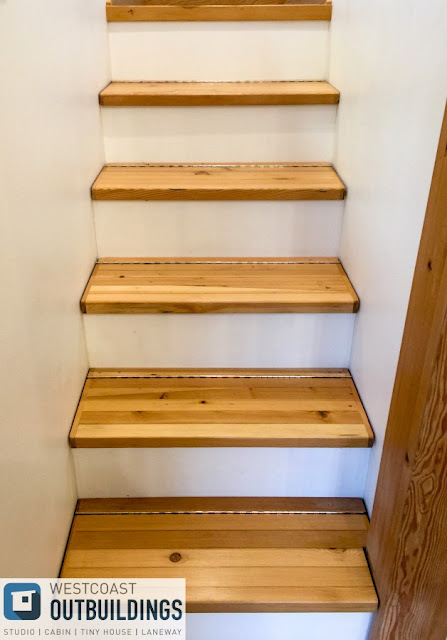 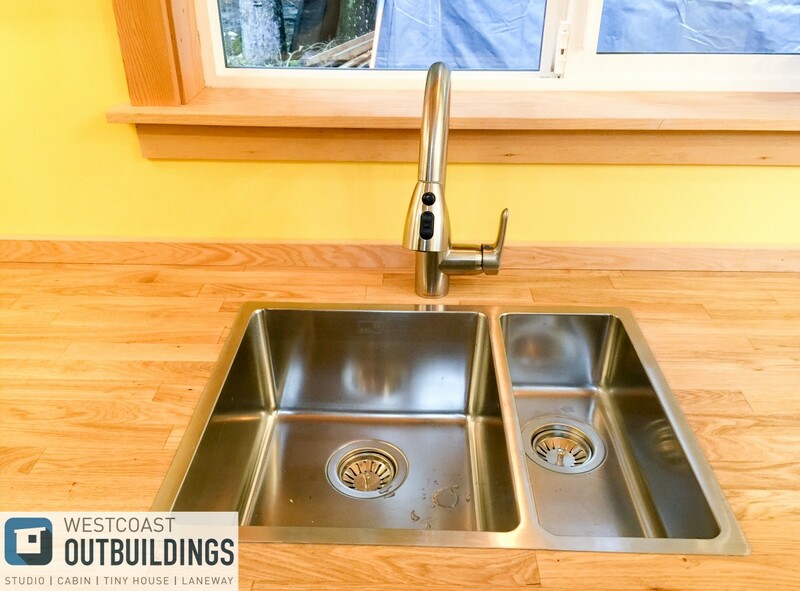 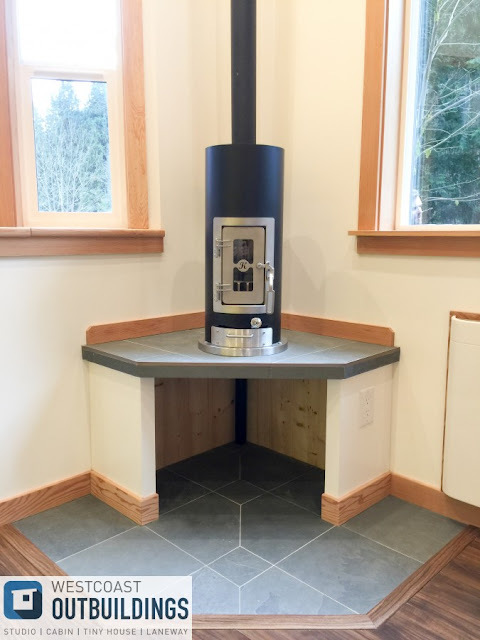 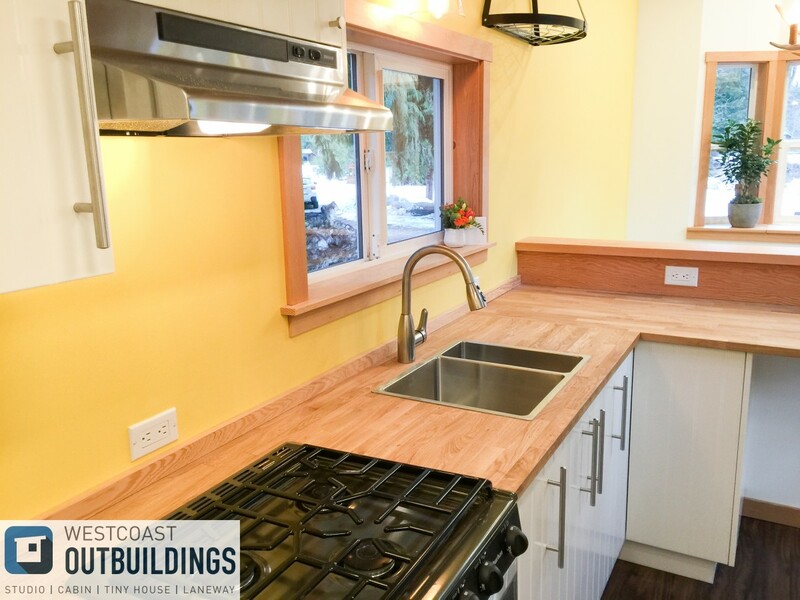 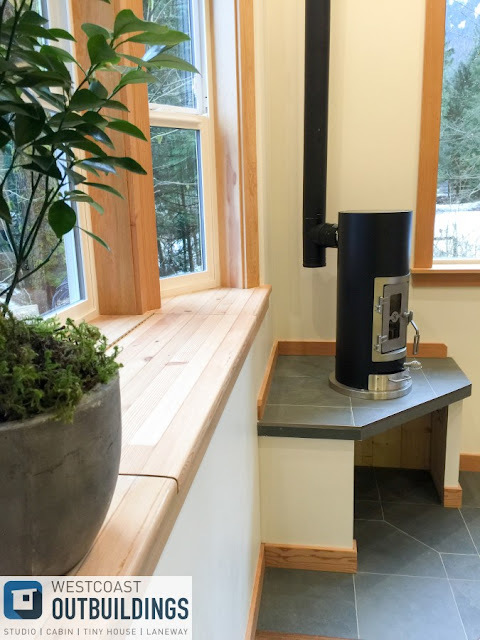 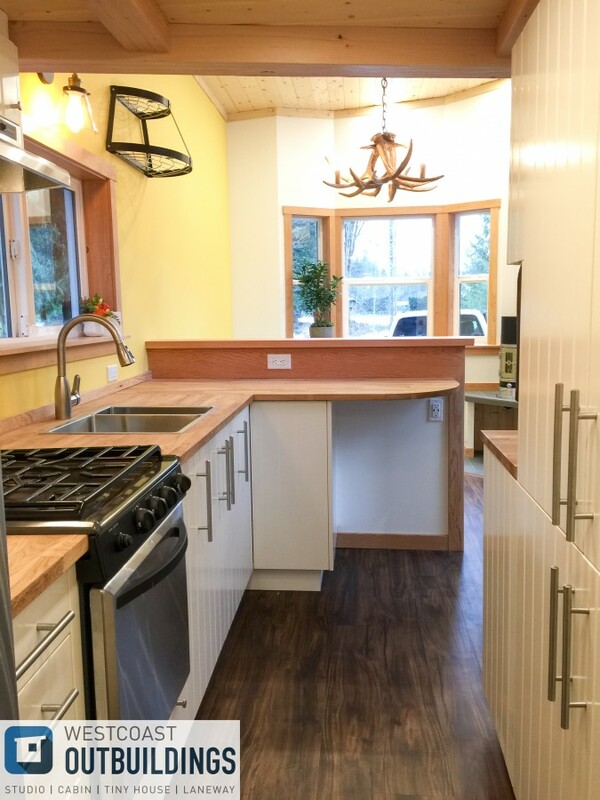 Also included in the home is a propane range/oven, propane on-demand water heater, incinerating toilet, fridge, a wall heater, and a Kimberly wood stove. 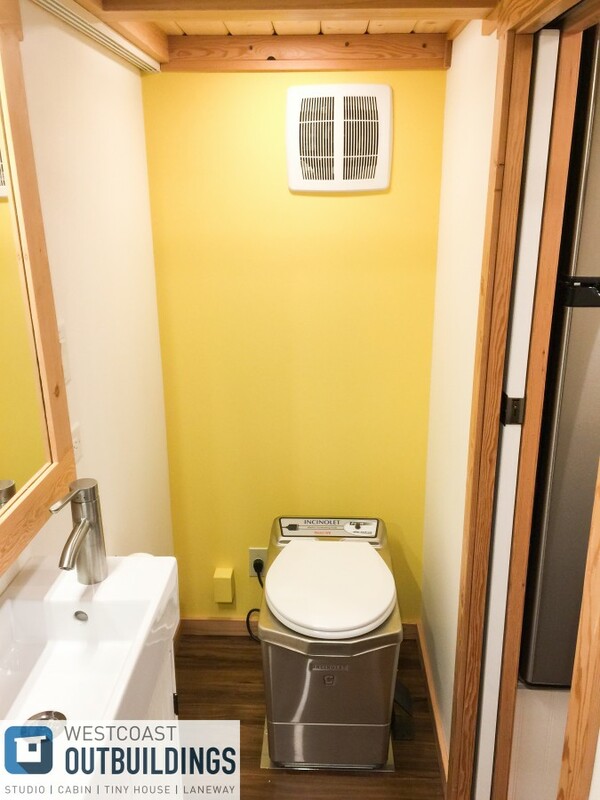 There's even a propane BBQ hookup and a hose connection on the home's exterior! 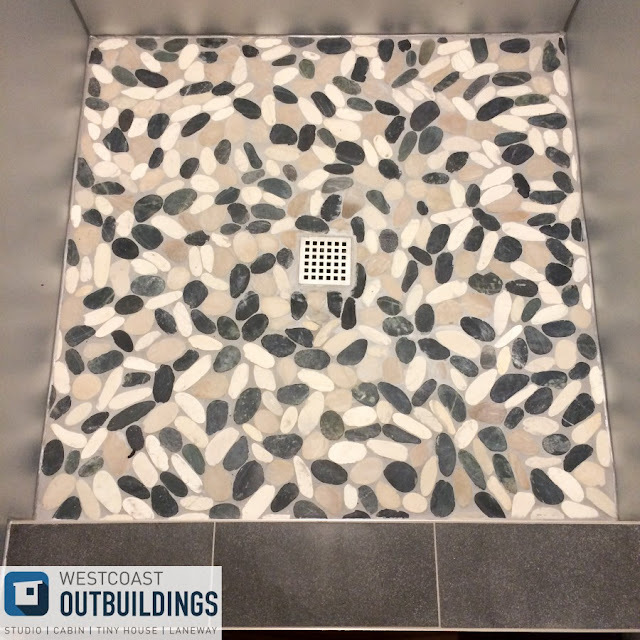 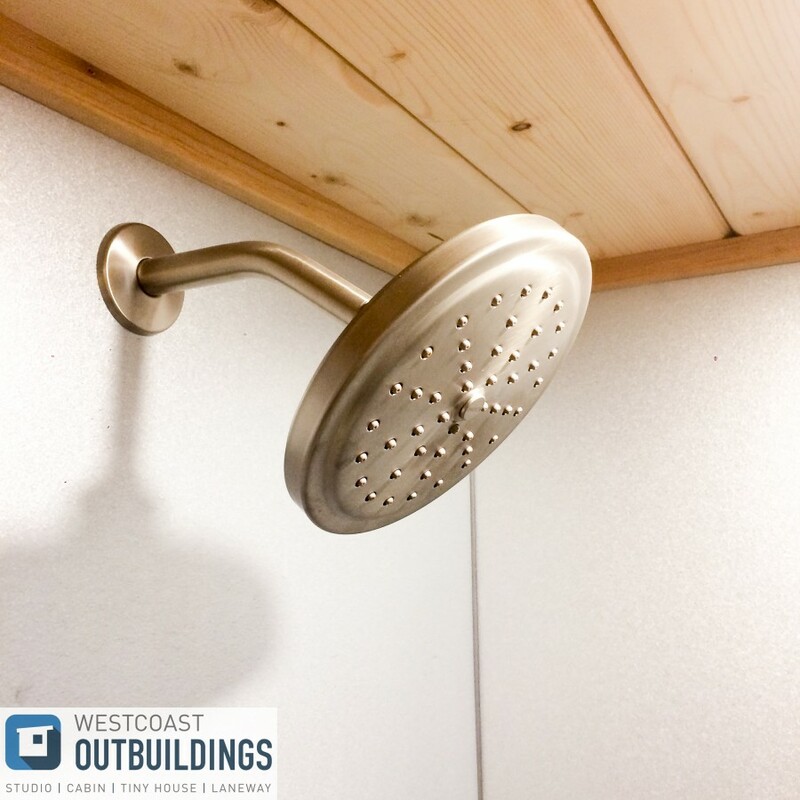 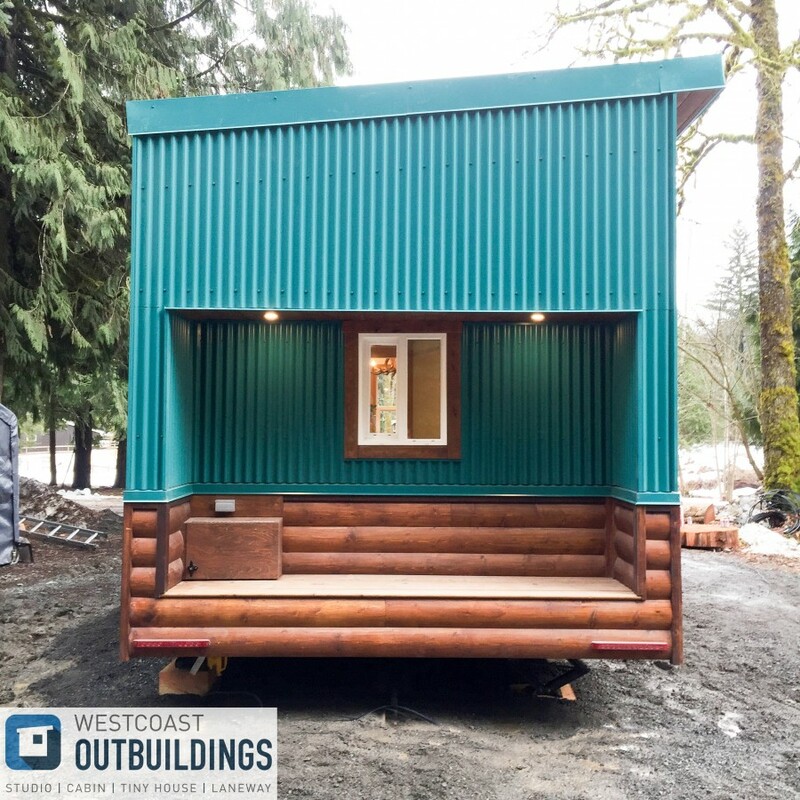 For more information on the Skookum, contact West Coast Outbuilds here! 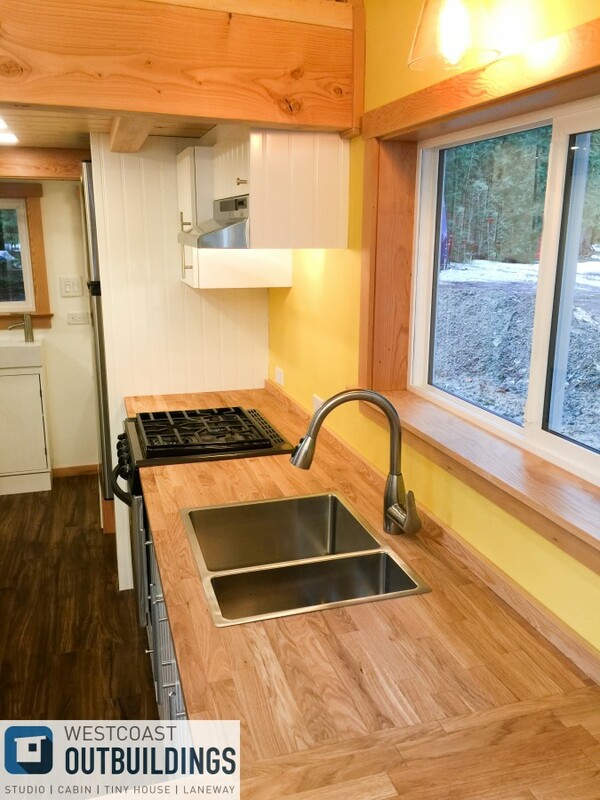 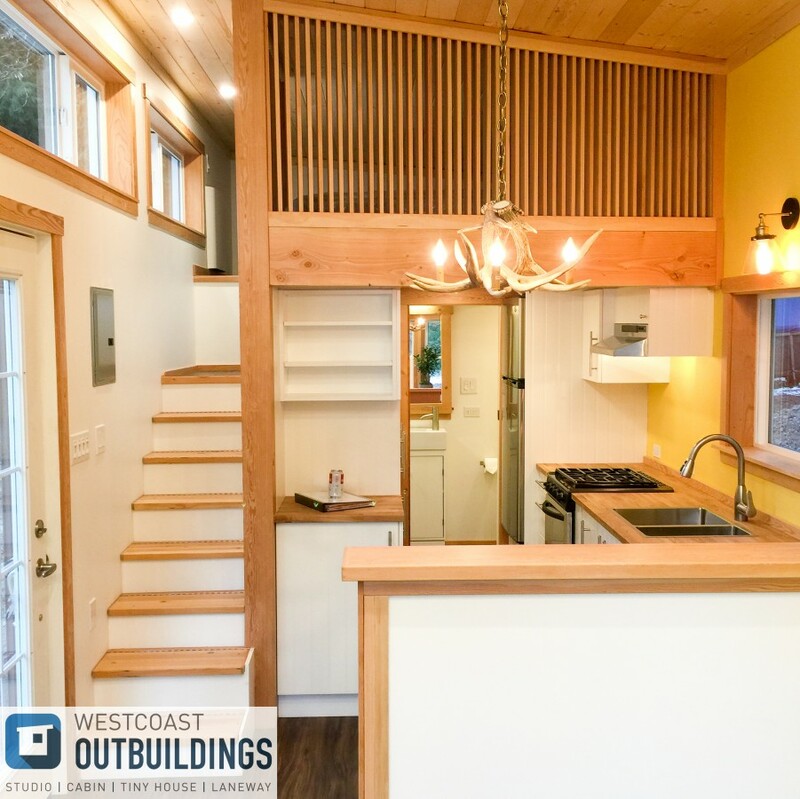 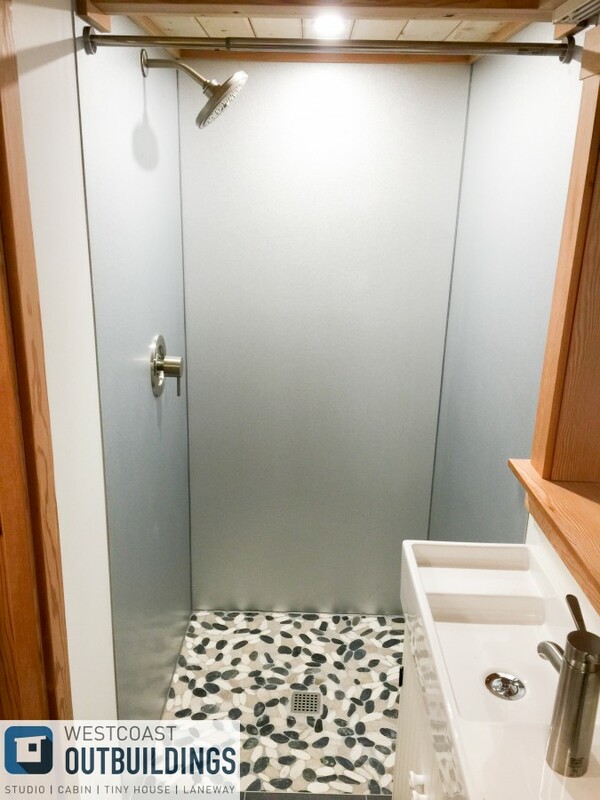 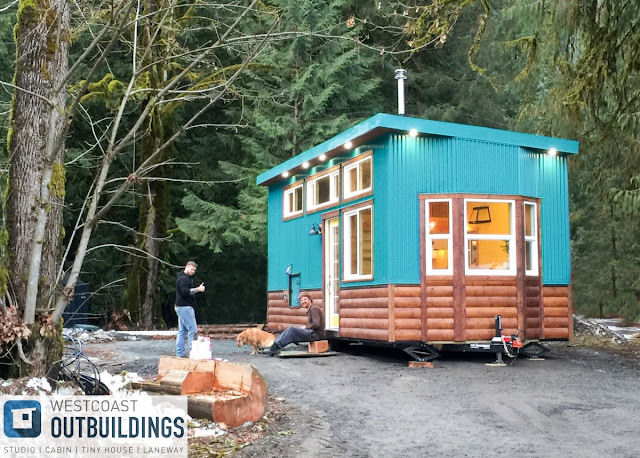 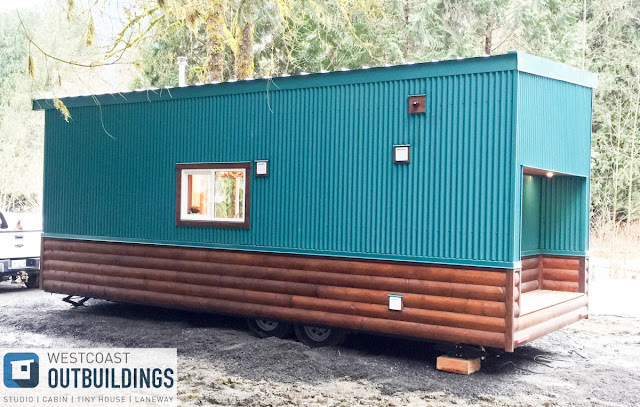 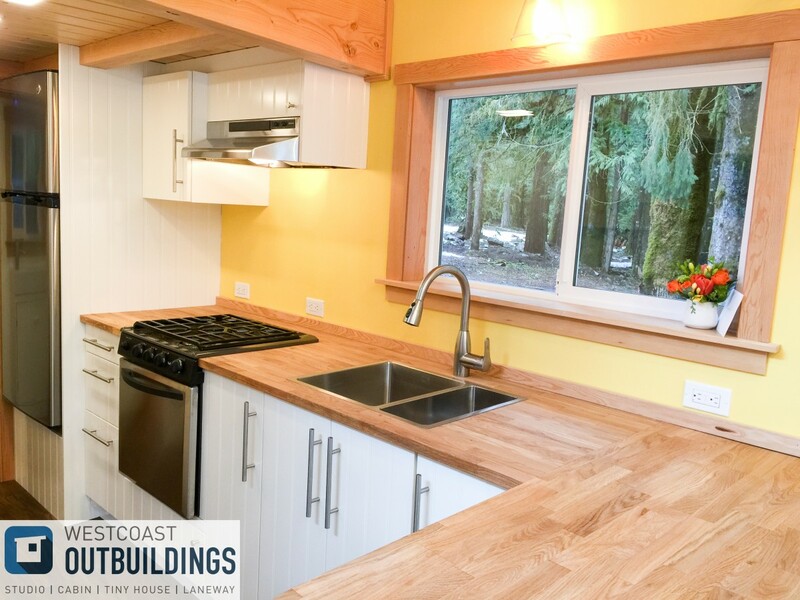 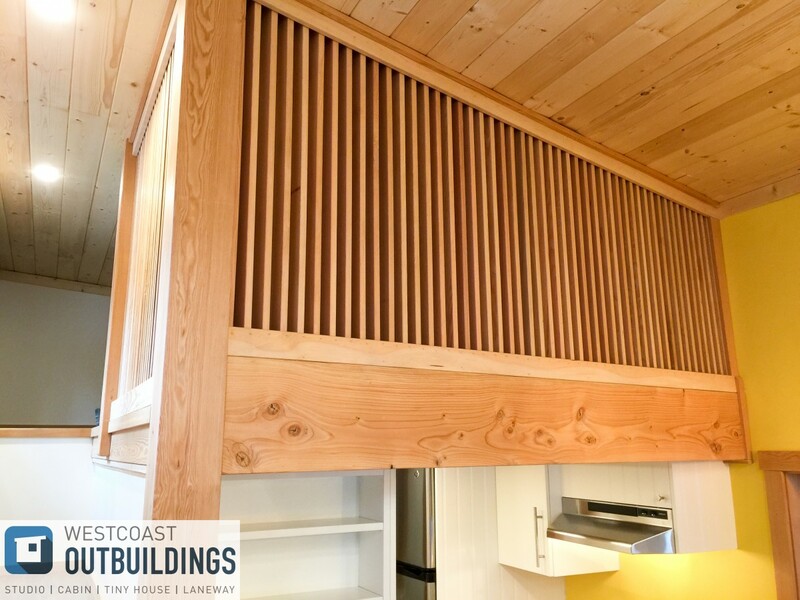 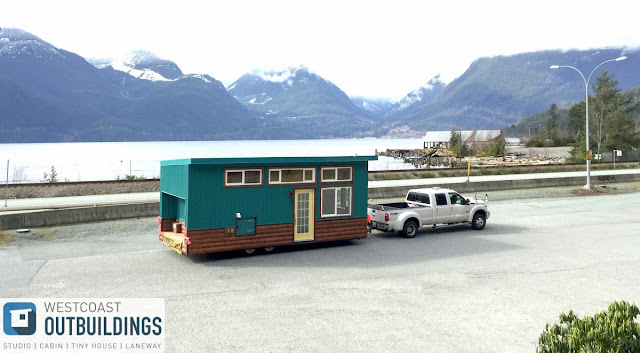 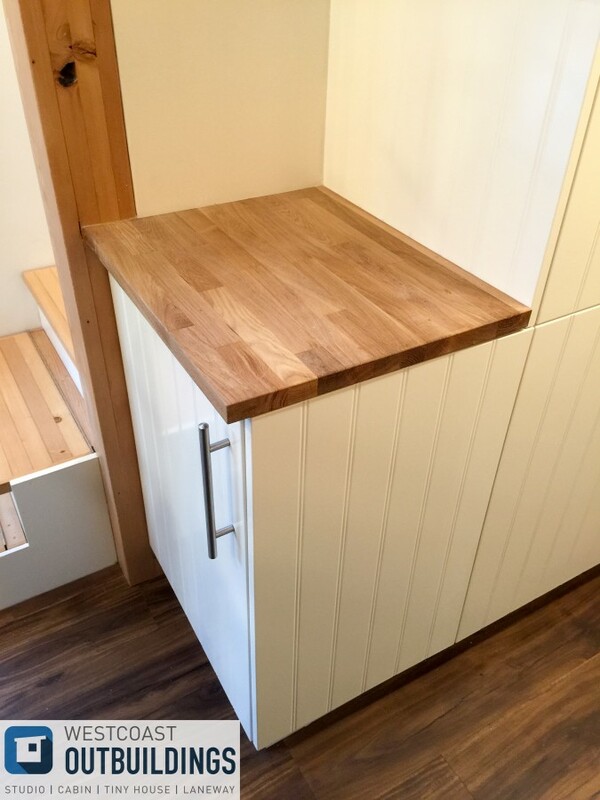 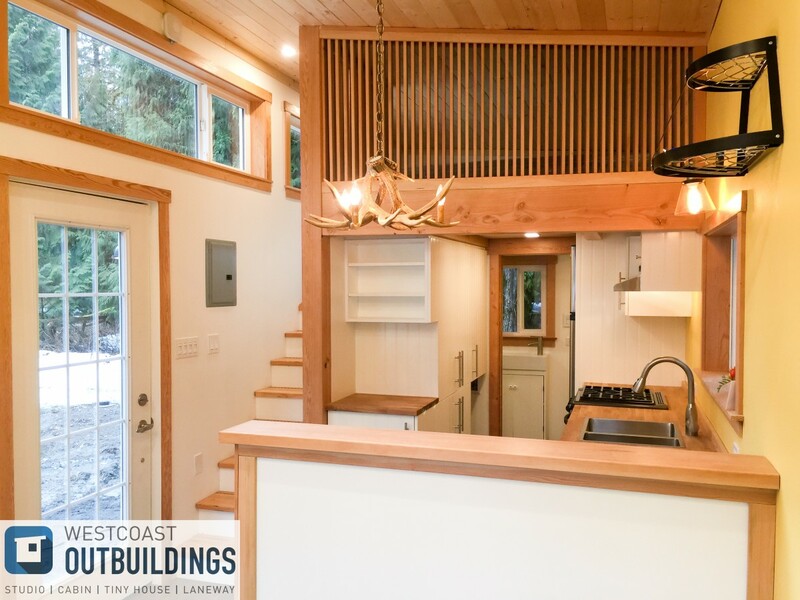 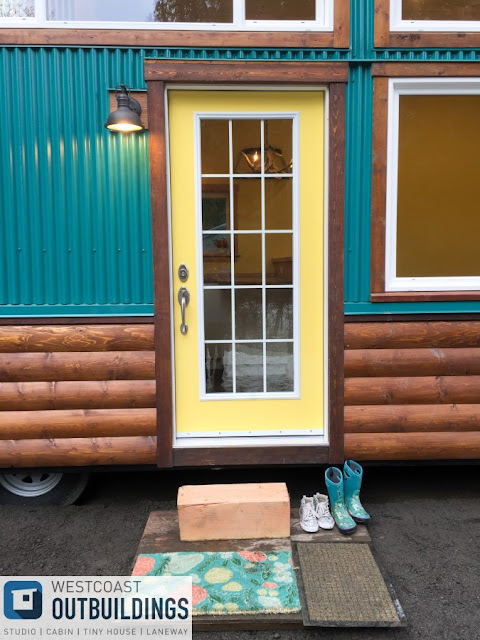 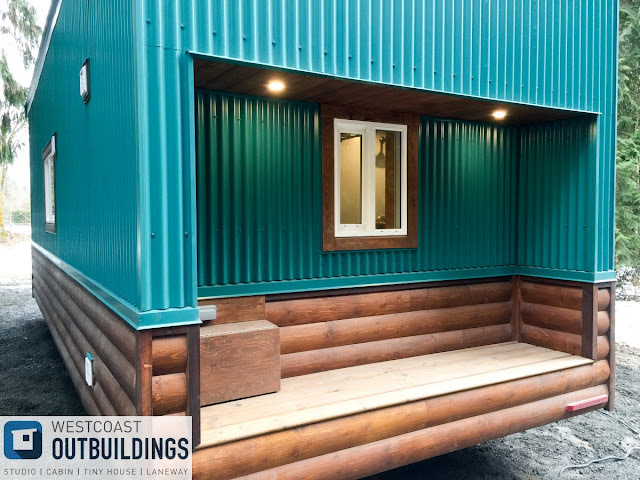 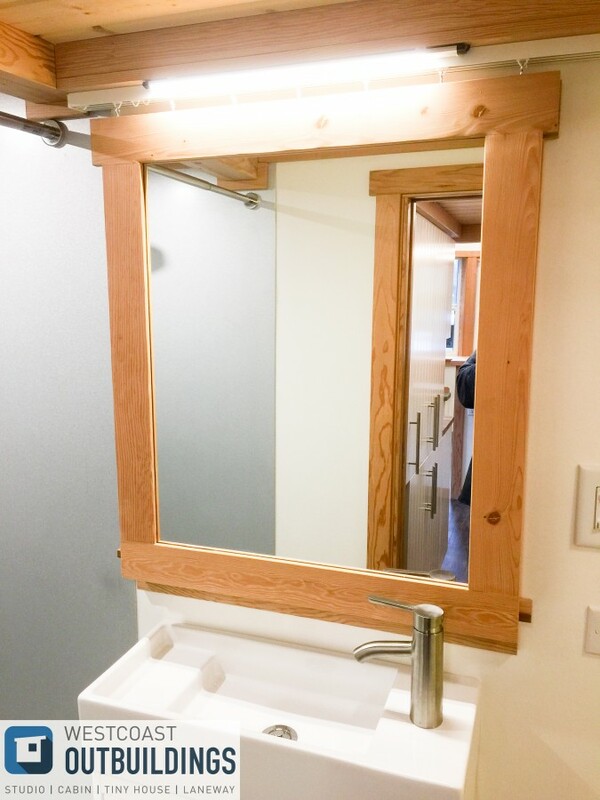 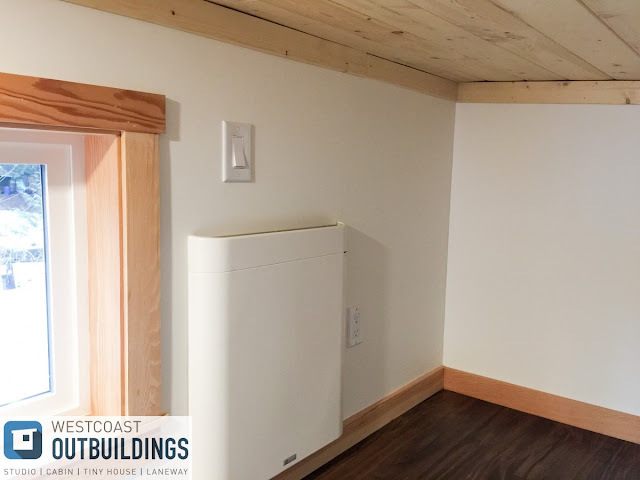 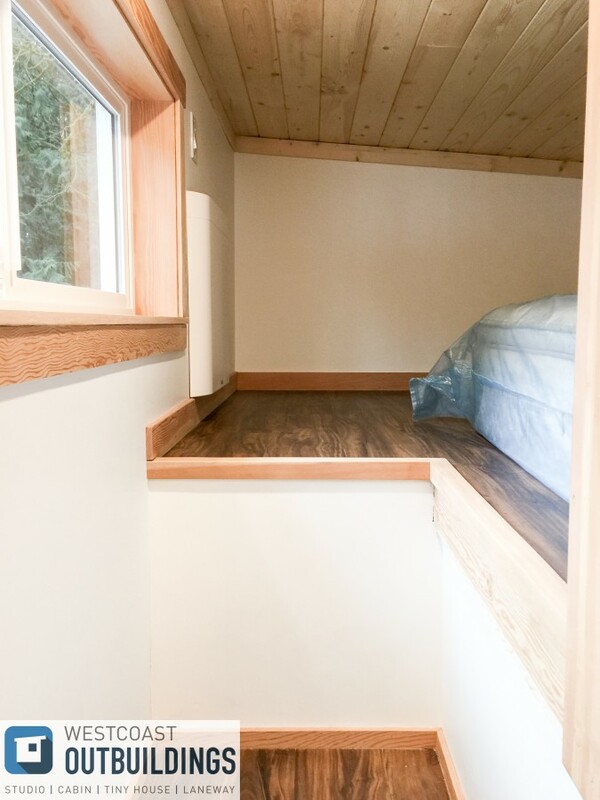 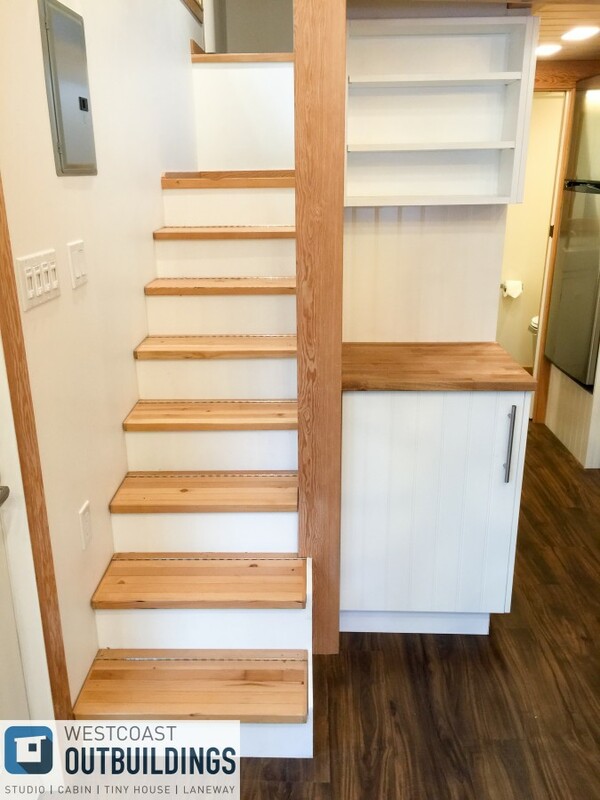 You can also check out some of West Coast's other tiny homes here, or their newest modular cabin on our small home blog here!